The latest articles, news, and information related to Roth IRAs, retirement, and investing. What are the 2018 Roth IRA contribution limits? If you make a contribution for the 2018 tax year, you need to know this information. Otherwise, you risk unexpected taxes, penalties, or both. Continue reading "2018 Roth IRA Contribution Limits"
What are the 2017 Roth IRA contribution limits? If you make a contribution for the 2017 tax year, you need to know this information. Otherwise, you risk unexpected taxes, penalties, or both. Continue reading "2017 Roth IRA Contribution Limits"
What are the 2016 Roth IRA rules? That's a great question, because before you open a Roth IRA, you need to know the basic rules of the game. Fortunately, the IRS kept the rules for 2016 fairly simple. 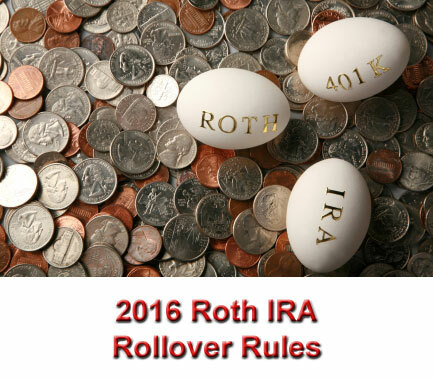 Continue reading "2016 Roth IRA Rules"
What are the 2016 Roth IRA rollover rules? If you're considering a Roth IRA rollover in 2016, you need to know. Why? Because as of January 2010, the rules dramatically changed for Roth IRA conversions. Continue reading "2016 Roth IRA Rollover Rules"
What are the 2016 Roth IRA phase out rules? Is it true that your Roth IRA contribution limit phases out as your income rises? Yes, it's true. So if you plan to make a Roth IRA contribution this year, you need to know the 2016 phase out rules. Otherwise, you risk inadvertently contributing more than the allowable IRS limit. Continue reading "2016 Roth IRA Phase Out Rules"
What is the 2016 Roth IRA maximum contribution? That's a great question, and you need to know the answer if you intend to make a contribution to your Roth IRA for the 2016 tax year. Continue reading "2016 Roth IRA Maximum Contribution"
What are the 2016 Roth IRA limits imposed by the IRS? Do you have to meet age or income requirements? Before you make a Roth IRA contribution, you need to know the restrictions for the current tax year. Continue reading "2016 Roth IRA Limits"
Continue reading "2016 Roth IRA Income Limits"
What are the 2016 Roth IRA conversion rules? You've probably heard a lot about the changes that took place in January 2010. But how do they impact you? 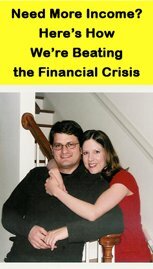 In 2010, the biggest change came from the expiration of the $100,000 adjustable gross income (AGI) limit on Roth IRA conversions. In effect, this change enabled anyone (regardless of income) to convert to a Roth IRA and contribute to a Roth IRA. Continue reading "2016 Roth IRA Conversion Rules"
What are the 2016 Roth IRA contribution limits? If you make a contribution for the 2016 tax year, you need to know this information. Otherwise, you risk unexpected taxes, penalties, or both. Continue reading "2016 Roth IRA Contribution Limits"